Nearly 75 percent of the best tech companies to work for in 2018 are headquartered in the Bay Area. San Francisco-based Salesforce.com tops the list after also ranking No. 1 on a list of 2017’s best overall workplaces. Adobe, Facebook, and Google also rank in the top five for best tech work environments. Bay Area tech heavyweights not only create innovative products that change the world, they also provide their employees with an overwhelming sense of satisfaction. That’s according to job portal Indeed’s list of the 15 top tech companies to work for in 2018, based on nearly 18 million employer reviews on its website. Perhaps not surprisingly, 11 of those tech firms are headquartered in the Bay Area — the vast majority in Silicon Valley. Topping the list is San Francisco-based CRM software company Salesforce.com, which received 4.3 out of five stars based on more than 300 employee reviews. 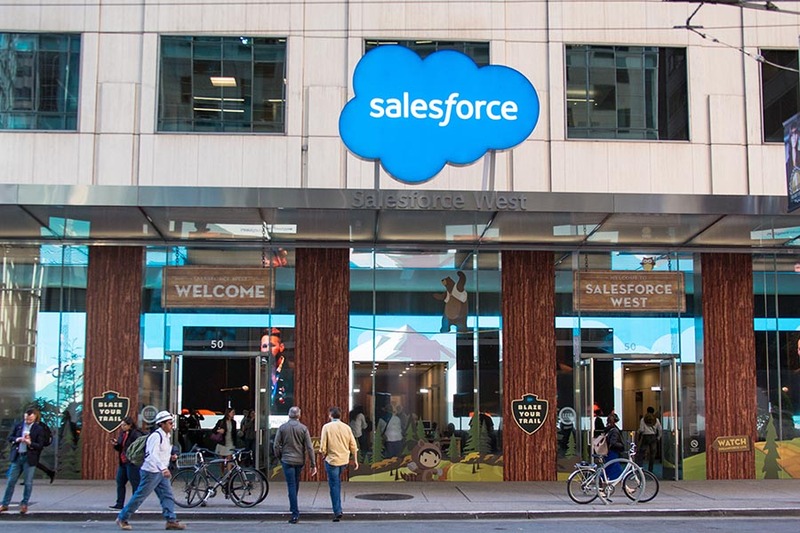 Workers who can thrive in the company’s fast-paced, challenging work environment praise Salesforce.com for its flexible scheduling, volunteer time off, and welcoming colleagues. Last year, Salesforce.com topped Indeed’s list of the best overall places to work, as well as its list of the best Bay Area companies. Best known for its creative software, San Jose-based Adobe landed in the No. 2 spot, also with 4.3 stars. The company’s employees enjoy an excellent work-life balance, job autonomy, and top-notch benefits packages. Menlo Park-based Facebook and Mountain View’s Google are two of the Bay Area’s most famous tech titans, and they landed in the No. 3 and No. 4 spots, respectively. Facebook earns points for its culture, securing the top ranking for that criteria, while Google employees applaud the company for its supportive management and challenging yet fun workplace. Both companies also ranked in the top five on Indeed’s 2017 list of best overall workplaces, and both have announced ambitious expansion plans that could bring thousands more employees to Silicon Valley. The Bay Area’s other top-rated tech workplaces: Cupertino‘s Apple (No. 6), Mountain View’s Intuit (No. 8) Sunnyvale’s Juniper Networks (No. 9) and Yahoo (No. 10), San Jose’s Cisco Systems (No. 12), and Santa Clara’s Intel (No. 14) and Applied Materials (No. 15).